It's a decent value especially for someone living alone if you have pets. I found it really difficult finding somewhere that wasn't super shady or expensive that allowed pets. The units are spacious and feel open which is nice. Unfortunately you can hear your neighbors and everyone that walks through the stairwell, hallway, or does anything in the parking lot. The office staff is Amazing, always so pleasant and polite. Never make me feel like I’m a bother and that in itself is important!! So Thank You so very much!! Really love it here! Not a lot of noise really quiet. I think I will be here for a while. I love the neighbors, so sweet. I love the hardwood flooring. Fantastic staff. Maintenance is usually on the ball. Neighbors are fairly quiet, especially at night. We've lived her for almost 21 years now and don't plan to move. I love living at the Arbors! I moved from Texas looking for a safe pet friendly community & that’s exactly what I found! The staff is great! Nice quiet area very peaceful and friendly community the management is amazing and they fix problems fast I’ve never had to complain about anything great place. So far so good. Stella was an amazing leading agent. She handled everything fast and efficiently. Moving in was a breeze. No complaints 🙂 well parking isn’t the best but I can deal with that. I like it a lot. I really like having a pool area and a gym on site even tho I don't go as much as I should but that's ok. My daughter likes it her. The arbors has been very peaceful. I have loved my stay. Maintenance doesn’t drag there feet about anything and management responds very quickly. I love the ladies 😍 in the office and my maintenance guys ❤️ to.they do there job all so we'll there's always a smile weather it's raining or snowing. I love the way they concerned about the tenant well being . My apartment community is very quiet. I haven't had any issues living here, this far. My apartment is gorgeous! I love the office staff! They are very welcoming and reassuring. I Dont have any problems! I plan on staying in the Arbors for a few years... I've been here one year and have no complaints.... I would recommend to others! 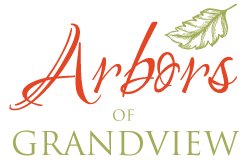 The Arbors of Grandview is a quiet and clean. You rarely hear anyone else. The staff in the office is very nice and helpful. Overall I’m glad I picked the Arbors.